Millionaire Casino and all casinos using Vegas Technology Software have merged into Liberty Slots. This is the only online casino where you can play on Vegas Technology Software. All USA players are welcome. If you are looking for a good place to play casino games online, go to the Millionaire Casino site. 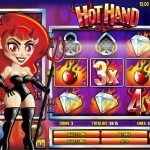 This is a great online casino to earn cash rewards while playing from a selection of over 360 different online casino games. As the name suggests, Millionaire Casino is particularly good for high rollers. Some of the highest betting limits to be found online are provided at the Millionaire Casino. There are many advantages to playing at the Millionaire Casino. 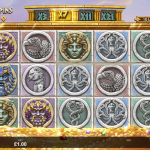 The WGS gaming software used here is provided by Vegas Technologies. The games offer a payout percentage of 98.1%, another factor which players at the Millionaire Casino appreciate. Millionaire Casino bonuses are generous, with casino first deposit bonuses on the first 3 deposits. 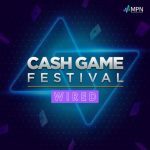 Broken down to 100% on first deposit to $2000, 100% on second deposit to $1000, and 100% on third deposit to $2000, that's $5000 in total bonuses from one of the most trusted US online casinos in the world. To cash in on a bonus, a player has to meet the wagering requirements of 20 times the value of the deposit and the bonus. 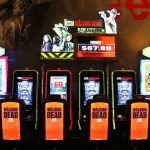 Enormous progressive jackpots are another reason why playing at the Millionaire Casino is a good idea. When players bet in casino games at the Millionaire Casino, they get reward points for each dollar that is placed on the table for a wager. These reward points are deposited into a player’s account every day. All told, the Millionaire Casino offers bonuses worth $750 every week. New players get a starting bonus called the first three deposit bonus, which is 100% up to $5000 on first 3 deposits. 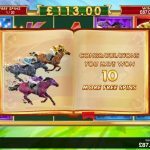 Millionaire Casino offers a suite of excellent online casino games such as stud poker, Baccarat, Blackjack, Craps, 3 Reel Slots such as Buffalo Slot Machine, and fascinating Video Slots games where the bonus sections are particularly interesting, such as The Reel Deal. 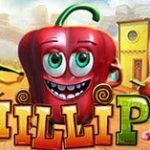 Other table games offered include Roulette and Poker Dice, and then different kinds of slots games include great ones like What’s Your Sign, Alien Invasion, Black Gold Rush, Malt Shop Memories and Luxury Liners. Progressive jackpot games include Red White and Win, Pay Dirt, Mega Money Mine, Treasure Trail, and Win Place or Show, while the Video Poker range includes Double Joker, Aces and Faces, and Jacks or Better. 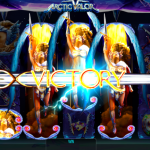 Tournament action is great at this casino, with generous prizes worth thousands of dollars every month. There is an amazing choice for players at the Millionaire Casino when it comes to tournament games with plenty of freerolls, tournaments where participation does not cost much and guaranteed tournaments linked to special occasions. 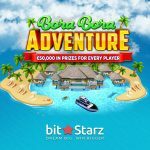 The Millionaire Casino belongs to the English Harbour Gaming Ventures Group, Antigua, which is known for safe and secure transactions, innovative software, better customer support and attractive bonuses and promotions. This casino is the oldest member of the group and the gaming and services offered here reflect the benefits of this considerable experience in the field of online gaming.